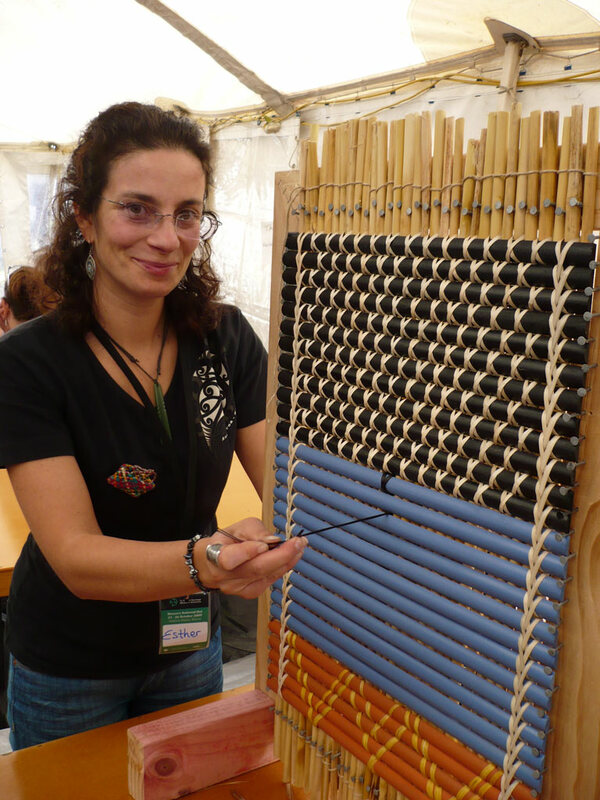 On the 23-26 October 2009, fellow work colleague Hokimate Harwood and I attended one of the biggest events on the arts calendar of Māori weaving-the Te Roopu Raranga Whatu o Aotearoa Weavers National Hui. 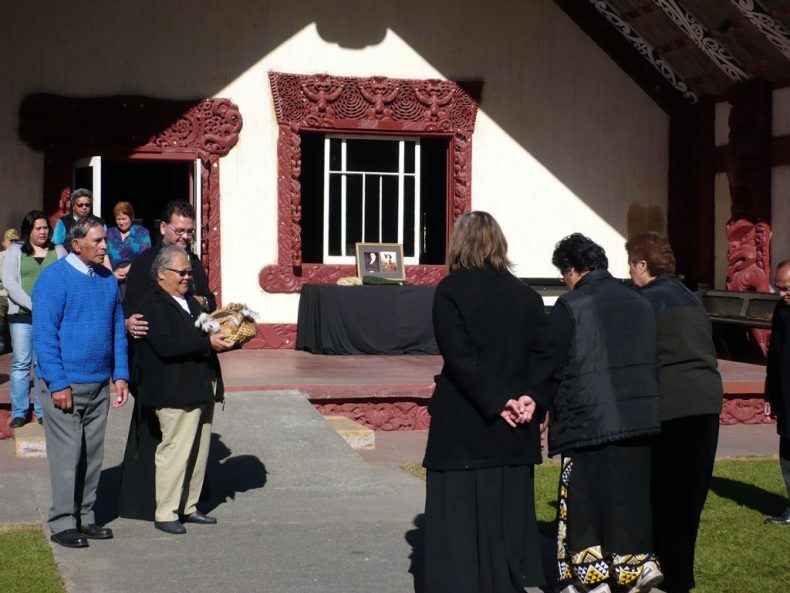 A biennial event, the first inaugural hui was called by Ngoingoi Pewhairangi of Te Whānau-a-Ruataupare, a member of the Māori South Pacific Arts Council, in 1983. Since that time, the weavers have gone from strength to strength, as one of ten national Māori artform committees under Toi Māori, a charitable trust that represents Māori visual, performing and literary arts. 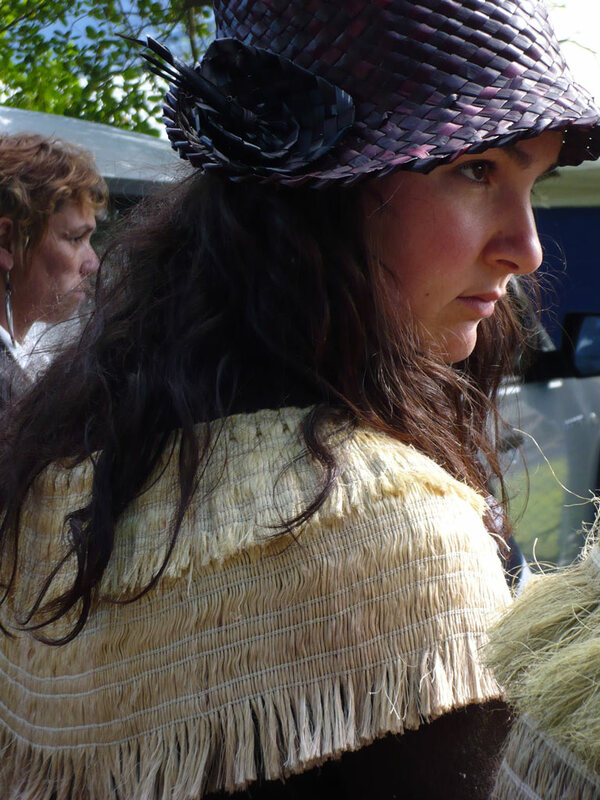 Hokimate is a science researcher specialising in feather identification, with a focus on Māori cloaks. It was her first weaving hui so she was looking forward to discussing the use of feathers with weavers and seeing how cloaks are woven. I’ve been attending the weavers hui for a number of years as part of my work as a Māori curator and keeping informed of weavers initiatives and new developments. This year the hosts were the Ngāti Kahungunu Raranga Whatu committee, whom include Nigel How, Pita Walker-Robinson, Bana Paul and others, with their many workers and supporters. 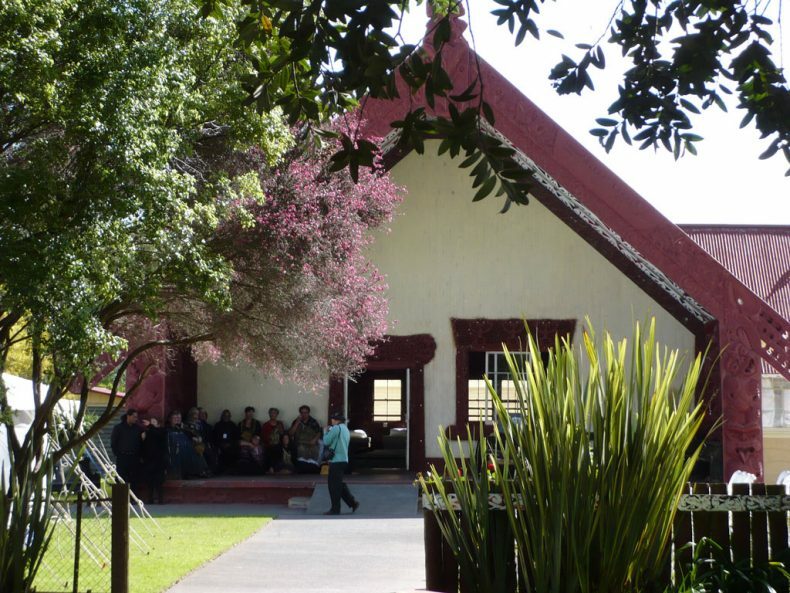 The hui was based at Takitimu marae, which was built in 1938 as a memorial for politician Sir James Carroll (1857-1926) otherwise known as Timi Kara. 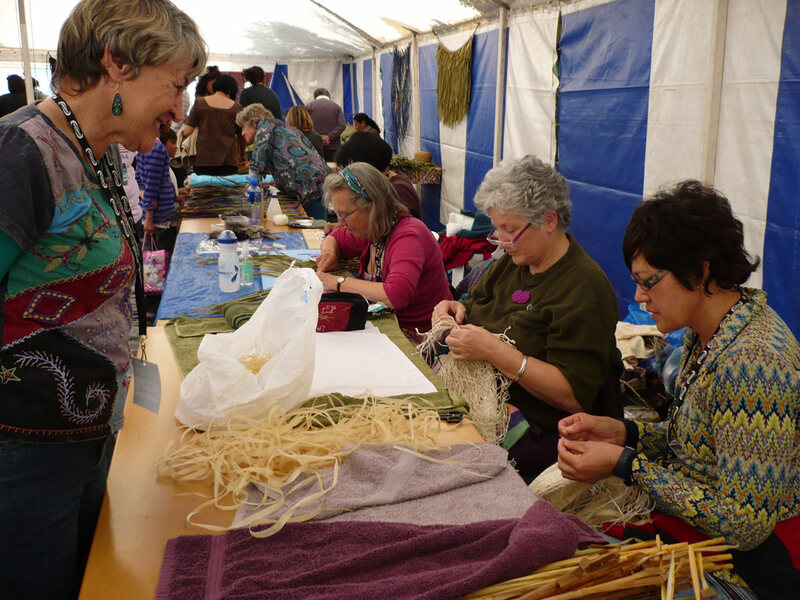 There were over 200 weavers who attended this year. At the pōwhiri (welcome) on to the marae we got to admire many beautiful cloaks woven and worn by the weavers. At every hui I am amazed by the multi-coloured and patterned array of designs and materials employed. Among the many that caught our attention this year was a mohair cloak by Gisborne based weaver John Lamb which was very warm (I got to try it on after the hui). Another cloak that was astounding was woven by Chris Brayshaw, 88 years young, based in Matata, near Whakatane. Chris, originally from Manchester, U.K, migrated with his wife to N.Z in 1955. He started weaving after his retirement as a civil engineer over 20 years ago, teaching himself basic kete (basket) making from a book by Mick Pendergrast. 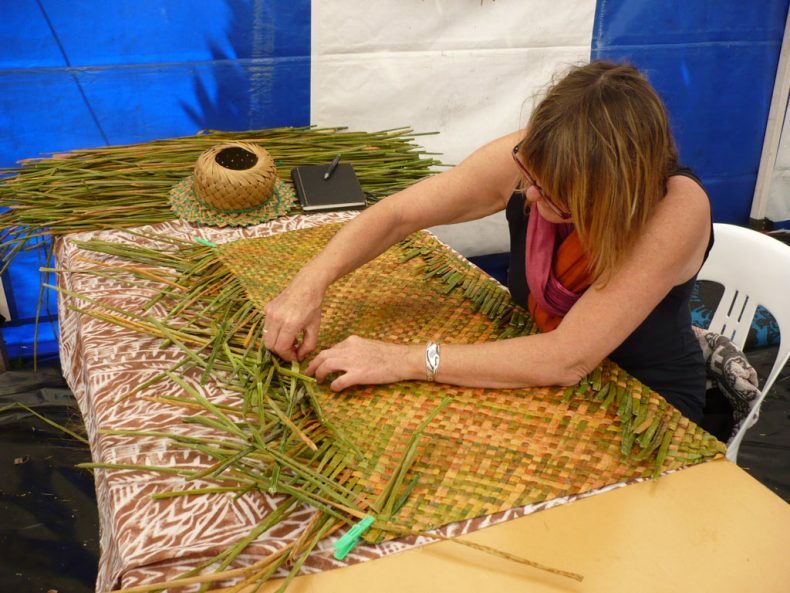 He then joined a weaving class with Katarina Waiari and learnt raranga (plaiting techniques) and whatu kākahu (cloak weaving). Chris enjoys the technical challenges of weaving and makes the most complicated multiple pointed hats I’ve ever seen. 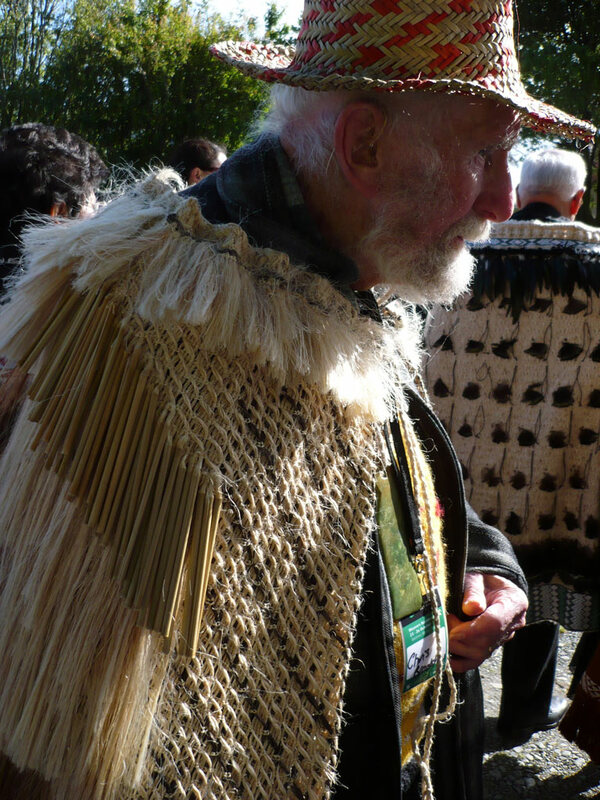 The cloak that he is wearing was made recently and is completely woven with muka (processed inner flax fibre). The marae complex was filled with three marquees for the weavers to work, with a fourth as an exhibition space. 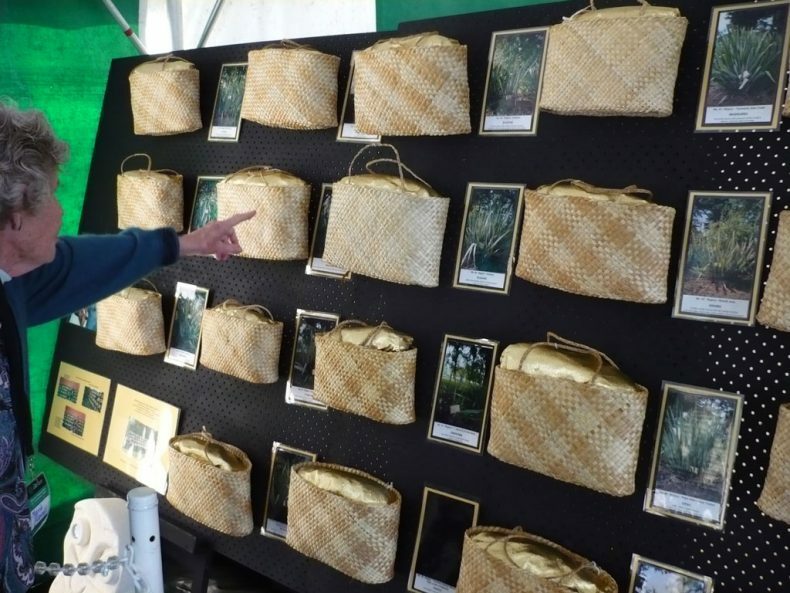 This included a display of 48 kete woven by Esmae Hungahunga and Tina Godbert of the Te Roopu Raranga o Paharakeke from Ngāti Kahungunu ki Heretaunga. These kete were woven in 2005, each from a different variety of flax (harakeke) from the famous Rene Orchison collection. Over the course of the weekend we got to meet up with friends, family and make new friends while admiring their weaving. Hoki and I were diverted by the stalls selling “bling”, and we each purchased a pounamu blade for hapine (a technique used to soften strips of weaving material and to remove moisture) that can double as a very impressive looking pendant. We also managed to join a group learning taaniko weaving, which was an impromptu arrangement by two sisters from Auckland, who were selling taaniko supplies. The organisational skills and manaakitanga (hospitality, care) shown by our hosts was outstanding. A refreshments tent offered herbal teas/coffee and delicious cakes and biscuits. The marae cooks spent three days baking ahead. Nothing was spared to provide local delicacies that gave a sense of special occasion. On the final night, for the traditional hakari (banquet), the tables were laden with kaimoana (seafood) and other exciting cuisine. The entertainment for that night was fantastic. They were a kapahaka (Māori cultural performance) team tutored by Ben Mamaku and his whānau, with a group of rangatahi (young adults). They were helping out with serving meals all weekend. Overall, the experience was fantastic. 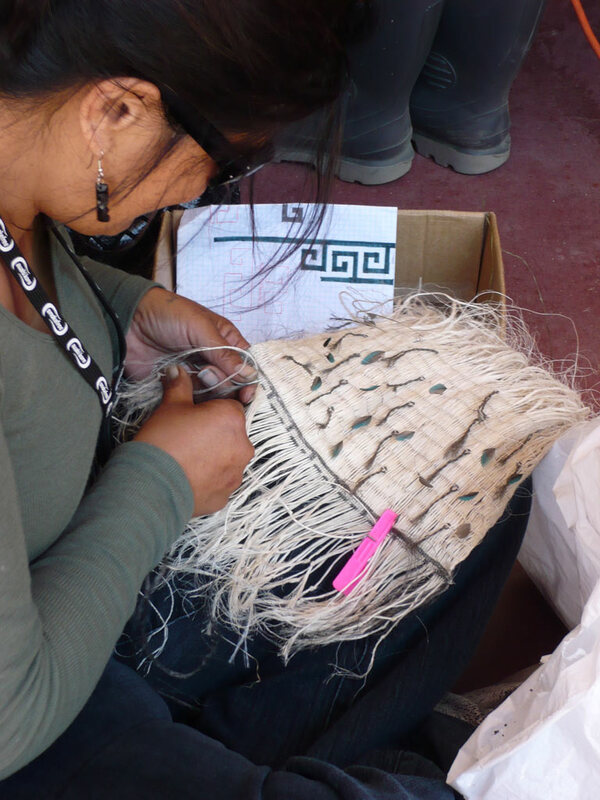 Weaving, the artform of our ancestors, is well and truly alive in Aotearoa. 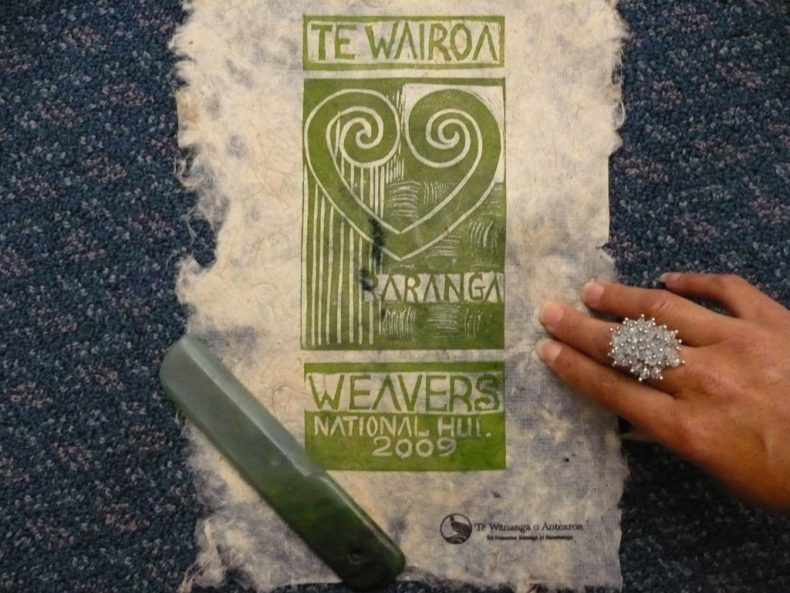 The next National weavers hui will be in Kawhia, 2011. Ngā mihi nui ki a koutou katoa-thank you to everyone involved. See you all in Kawhia. No sorry that is all the information I had. Try writing a letter to the Marae or looking in the phonebook. has he left his contact details with anyone you know? He pounamu mö ngä mahi kairaranga. Yes I did buy a beautiful hapine at the hui, the maker is Ted Goldsmith Papakura Marae, Tamaki Makaurau. if Hokimate could be contacted then he might know as i am sure he purchased one ant the Hui. as i missed the hui and really want one. can you put me on to the person who made and sold them?